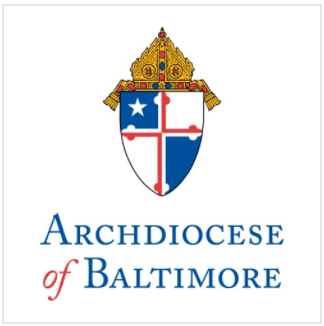 Cardinal Edwin O’Brien, Apostolic Administrator of the Archdiocese of Baltimore, issued the following statement at a press conference earlier today at St. Agnes Hospital announcing the sale to St. Agnes of the property where the former Cardinal Gibbons High School is located. “St. Agnes has been an invaluable partner in the Archdiocese of Baltimore since 1862 and has been here in this very location for 136 years. We are so excited about this opportunity to keep ‘Caton Corner’ a Catholic corner, with Catholic partners in St. Agnes here and soon to be across the street, Catholic Charities at the Jenkins Senior Living Community, and the Archdiocese at Seton Keough and Holy Angels. “We could not ask for better partners in fulfilling the Church’s mission of serving others, regardless of faith, whether through health care, education, or housing. “We have had many offers for this property over the past two years, including some more financially attractive. I am grateful to those who worked with us to engage stakeholders and the community to identify the ideal partner to advance the Christ-inspired mission of the Church in a way that best serves the community. “Each of us is well aware of the long and sterling service of Cardinal Gibbons High School and its importance to the Baltimore community. It was and still is beloved because of what it represented to the young men who attended Cardinal Gibbons and to the many proud alumni whose sons and grandsons followed in their footsteps. “That was never lost on us during the painful process of closing the school, nor was it lost on us as we carefully contemplated the future of this property. Cardinal Gibbons High School closed as part of the consolidation of 13 Catholic schools announced in March 2010 after several years of declining enrollment and budget deficits. The Archdiocese had provided $4.3 million in aid to the school over the 10 years prior to its closing. The school opened in the fall of 1962 and had a peak enrollment of 1,042 students in 1969. Only 297 students attended the school in 2010. Of the 232 students eligible to return, 178 registered to continue in Catholic education. The Archdiocese continues to honor all tuition assistance for Cardinal Gibbons High School students who were receiving scholarships from the school until their graduation from their new Catholic high school.